Turn about is fair play. 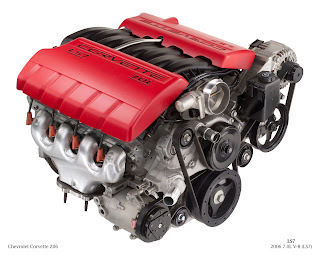 A recent poster on Corvette Forums said that he was at a HPDE with his C6 Z06 and experienced engine failure. The dealer would not cover this engine failure under warranty.Everyone in the world, is covering, and talking about the Nissan GT-R transmission like its glass. How Nissan is not covering it under warranty. What Nissan is not covering is abuse. Just for the record My engine blew while on track at a performance driving school and our friends at GM WILL NOT WARRANTY THE ENGINE REPLACEMENT. The warranty language states that they will not cover damage caused while racing or competitive driving. I was not involved in either situation. I was enrolled in a performance driving school that does not teach racing or allow any competition between students. Many peoples arguements for GM covering it are that the car is listed as being "race ready". Driving schools offered with the cars and ZR1's when they are sold. Sounds like Nissan and transmissions all over again. Some people say they have had their engines replaced under warranty, some say the dealers refused based on sometimes "excessive tire buildup" in the wheelwells. I will be following this thread a little see where it goes. This ones for all the GT-R haters out there. Have no idea what the heck you're talking about. "Your enrolled in driving school". "Your car was sold race ready". "Offered as ZR1's when sold"??? Huh??? Part of this is quoted. See the grayed out area, that's quoted from a poster on a forum. That is what he said about his engine in his Z06 not being covered under warranty. Its not "offered as ZR1's", its "Driving schools offered with the cars and ZR1's when they are sold.". The "cars" being Z06's, which is what the title of this blog post is about.